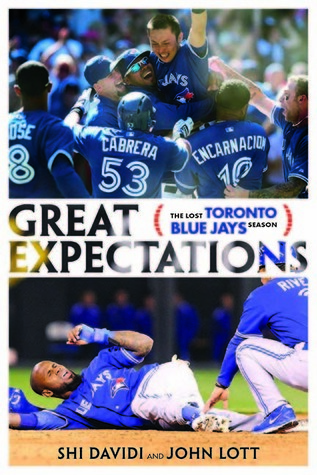 In a one of a kind look at the Toronto Blue Jays 2013 season, two seasoned sports journalists take readers behind the scenes as the team stocks up on stars, revitalizes its fans and embarks on a campaign of shocking disillusionment. Great Expectations begins with a detailed look at how general manager Alex Anthopoulos pulled off the blockbuster trade that acquired flashy shortstop Jose Reyes, potential pitching ace Josh Johnson and steady left-hander Mark Buehrle. Then came the delicate, frenzied negotiations with the Mets that landed erudite .knuckleballer R.A. Dickey, the National League’s Cy Young Award winner in 2012. The book examines the challenges that Reyes, Buehrle and Dickey faced in their formative years and during the rocky 2013 season. It is also replete with details about Brett Lawrie, the team's lone Canadian, whose kinetic style of play is a double-edged sword; José Bautista, the two-time home-run champion whose crown began to slip during a difficult 2013 season; Munenori Kawasaki, the genial, quirky infielder who became an overnight fan favorite; and Anthopoulos himself, who, by season’s end, was inciting the fury of the same fans who had praised him as a genius a few months earlier. Featuring insightful analysis and a colorful collection of candid photos, Great Expectations is a fascinating tale of a season gone wrong. This is a story about a lost baseball season that a lot of people thought would at least put them in the playoffs. That did not happen. What did happen was injuries and players not performing even to a standard that they had in the previous years before becoming a Toronto Blue Jay. Then the fan base watching the manager that got fired get hired by a rival Boston and they are the ones who go from last the year before to World Series champion. The book itself is good it is broken down by chapters from the winter meetings and how the first big trade happen. To the free agents that were signed. Then you get a personal look at some of the top players and how they got into baseball and how they got to where they are today. You also get see the frustration of a team who towards the end of the season trades a player and for the last month he hits for a higher average and steels more bases for that club than he did for you for most of the year. A good look into the front office of a team and how they look at what players and manager they need for the season. How before they can do something they have to figure out how much it is going to cost in the future and do we want to make a trade if it means giving up young talent. 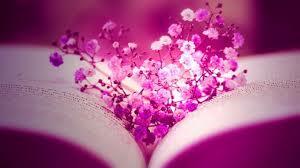 Thought that this was a good book. I got this book from net galley.